With one in four people in the UK workforce now aged over 50 and with birth rates declining, there is a pressing need for leaders and organisations to decide how they will successfully manage an ageing workforce. In today’s terms, 50 is far from old – with people living longer, more active lives. With the advent of pension changes also, many people will need to work well into their late 60’s. There is usually at least 15 years of working life left once we hit 50, if not longer – plenty of time to make an impact! To enable the ageing workforce to maximise their input – and share their valuable skillset – it is essential that employers think about their approach to continuous career development, support and training. 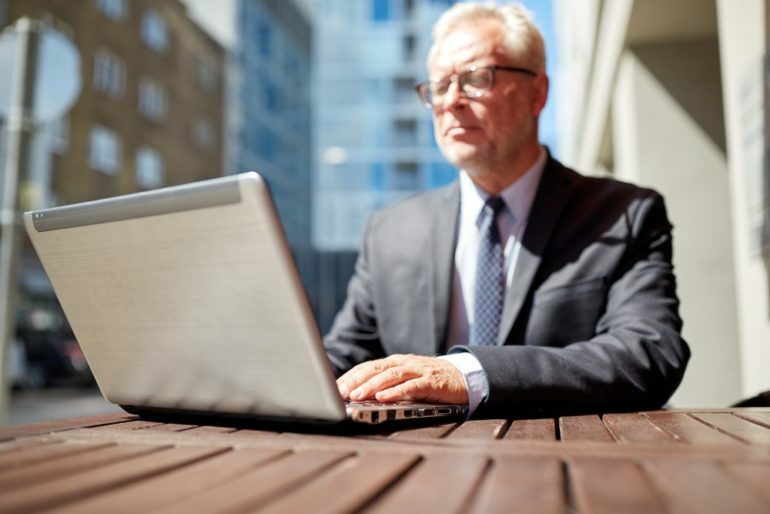 The workplace is changing at a faster rate than ever before – and with technology playing a growing part across all areas – enabling older workers to keep pace is critical to fully utilise this valuable demographic. A strong focus on continuous learning for all age groups can help a workforce to keep pace with changes in the workplace. Keeping it ‘bite-sized’, as well a providing enough opportunities for self directed study and e-learning, can prevent it from becoming too daunting. Accessible and inclusive learning enables skills transfer across the generations. If you’re struggling with uptake for training opportunities, understand the barriers. Could it be lack of confidence or experience in learning on digital platforms? So called “digital natives”, frequently go straight to You Tube for learning but this may be a less natural route to skills development for older workers. Would a mix of online and face to face learning work better? Are working patterns or embedded habits the problem? Whatever transpires, take action to remove the barriers and actively encourage older workers to take up the opportunities available to them. Career change in later life is growing in popularity – many older people find that they have greater flexibility to explore options and make career choices that were not available to them in earlier life, due to family or financial commitments. They often have a wealth of transferable skills, along with an increased confidence in their abilities and a better awareness of their strengths, weaknesses, likes and dislikes, which sets them up extremely well for new challenges. Don’t assume that older workers would not be open to new roles, promotions, redeployment or even relocation – a change of career can be both revitalising and rewarding. Ensure too that Hiring Managers own pre-conceptions are not the barrier to career development for older workers by equipping them with the right skills to have effective career conversations with this group. Encourage older employees to think through their options and provide space for broader conversations with line managers about plans for the future. Ensure managers, especaily those leading multi-generational teams, receive practical training in how to have these potentially sensitive conversations in a supportive and constructive manner. Working Transitions has teamed up with Mills & Reeve to provide a unique, bite-sized webinar exploring this hugely significant topic. We will look at the legal aspects employers should be aware of, as well as share our own expertise about how to ensure the continuous career development, productivity and engagement of your valuable older workers. Speakers from national law firm Mills & Reeve – the only firm to have appeared in the ‘Sunday Times’ best 100 companies to work for’ list 16 years running – and Working Transitions – the largest wholly UK owned change and transition specialist, will use real-life scenarios to help inform and educate your future HR strategies.